In November 2003, the structure of the old Grain Store collapsed, the building’s stone was taken away and put in storage. 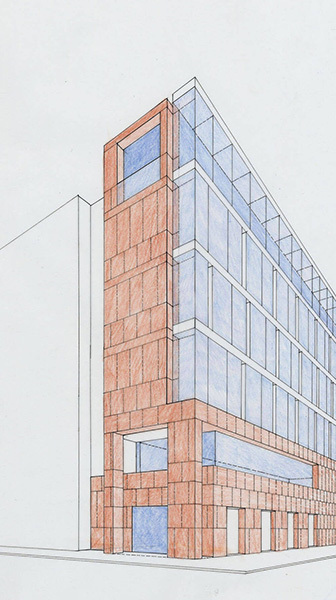 After discussion with the planning office, it was agreed to replace the previous building on the site with distinctively contemporary building, which refers to the memory of the old in a number of ways. 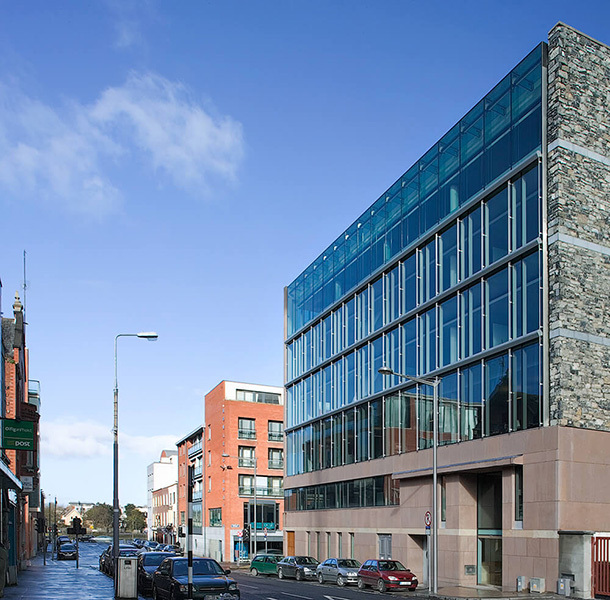 The new building mantains the distinctive footprint of the Grain Store with a narrow front to Henry Street and a long facade to Cecil Street lower. The gable wall to the East is clad with reclaimed masonry from the original structure. 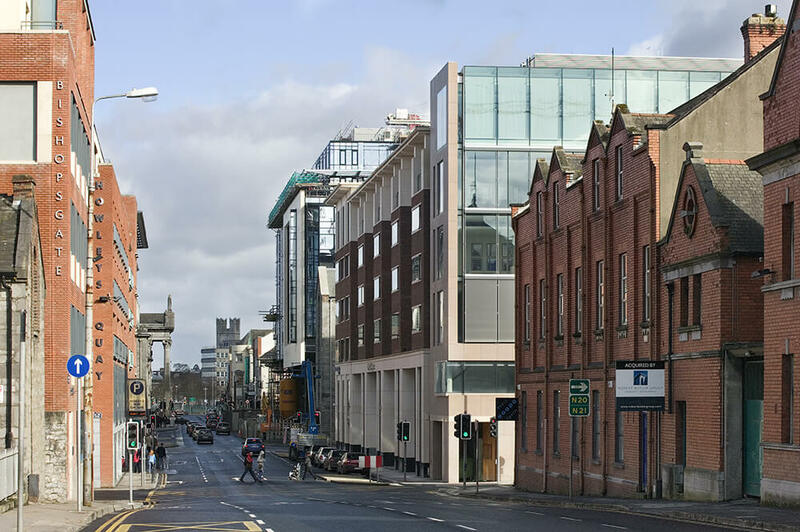 The building reads as a bookend to Cecil Street, the facade to Henry Street formally addresses this prominent junction. 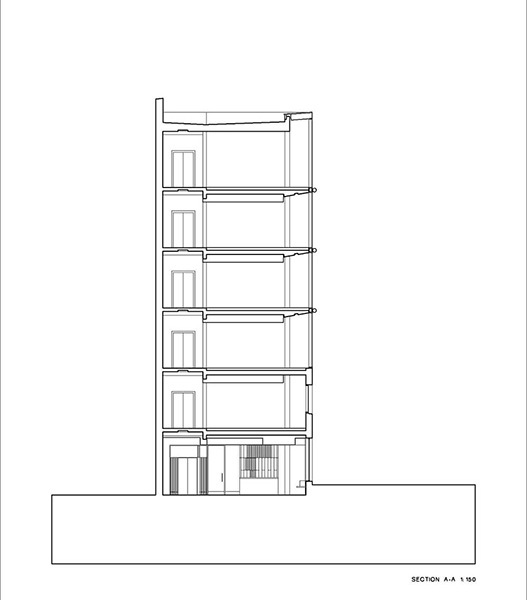 The strategy for the building is generated by the difference in scale and construction between the two facades which relates to the original composition of the grainstore, and of Georgian buildings in Limerick generally, where the corner articulation derives from the resolution between the main fenestrated facade and the secondary blank facade. 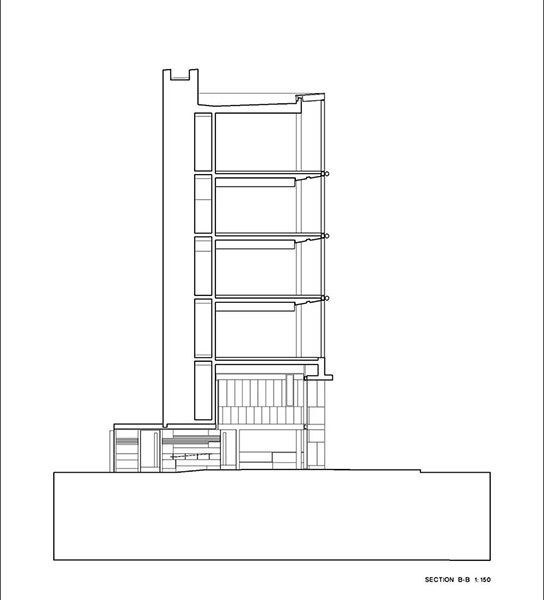 The materiality of the building, and its detailing, is integral to the design composition. 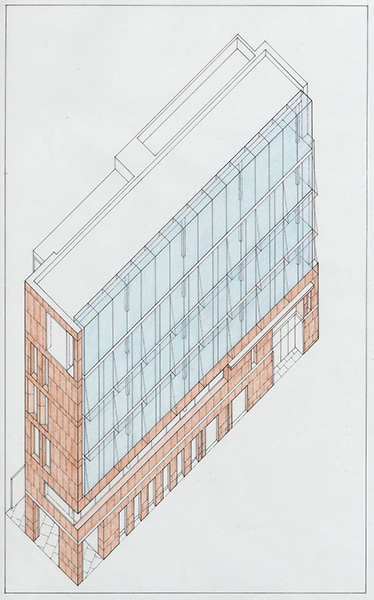 The building could relate to the other corner buildings on the junction, ,in terms of colour and tone. 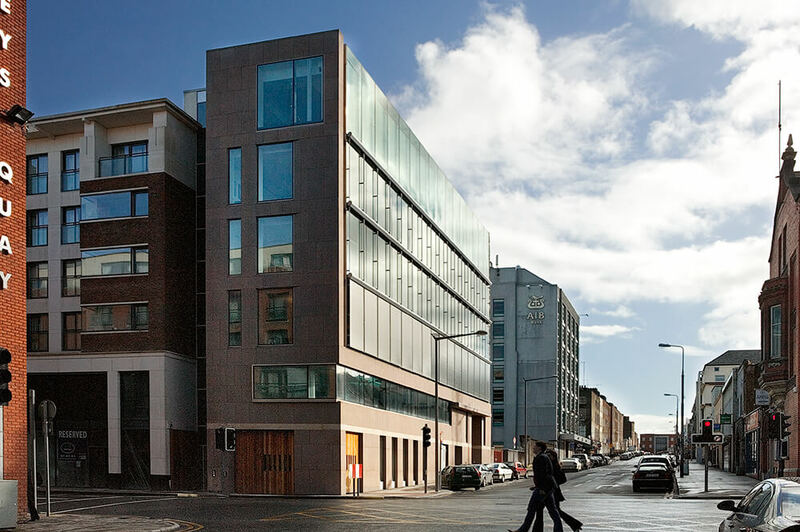 A warm red sandstone has been used, which allows the building to have a more contemporary texture, while allowing the building to sit comfortably with red brick neighbours. 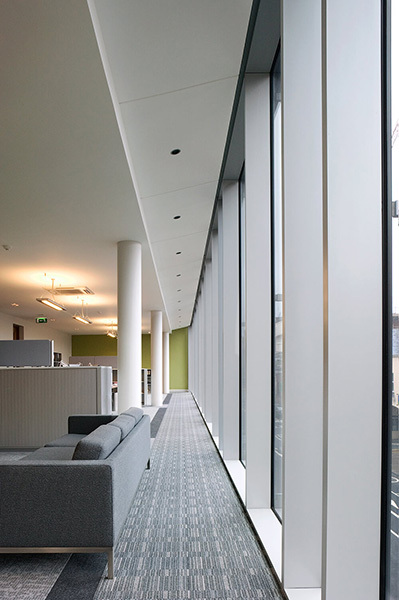 The building should express its use externally through the design of the office window, as a single precisely proportioned glass wall. This extends up to form a glass roof to the attic storey on the top floor. 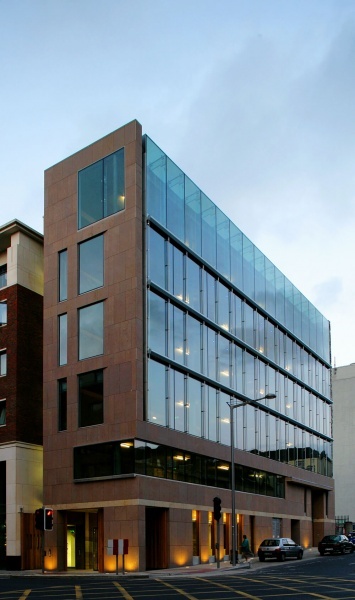 This glass facade is designed specifically to provide an environmentally comfortable and balanced internal space. 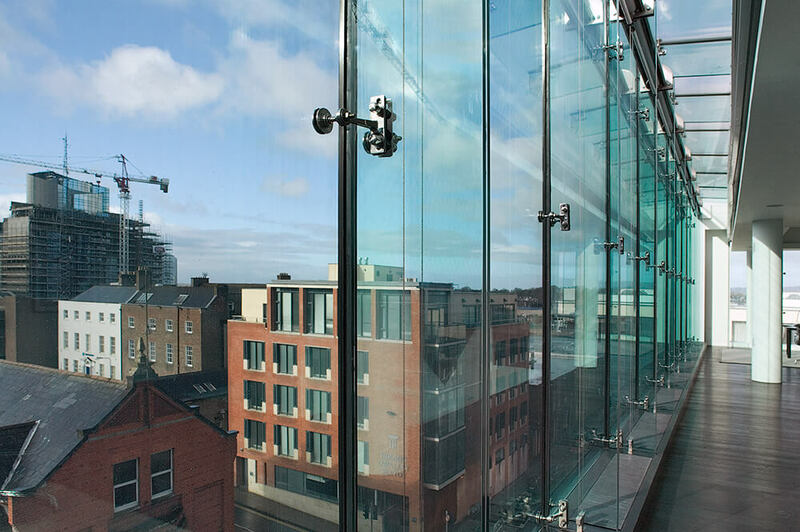 Stainless steel external blinds on the glass facade to Cecil Street, are centrally operated and motorised. The blinds descend automatically to cut out excessive heat or glare from the sun, providing a continuously bright and comfortable working environment. The casings and rails are like jewellery on the building; the blinds when closed another layer and texture; the texture of the building constantly changes depending on light conditions.